See scan - perfect condition. Made of aluminum with nice enamel work and gold plating. 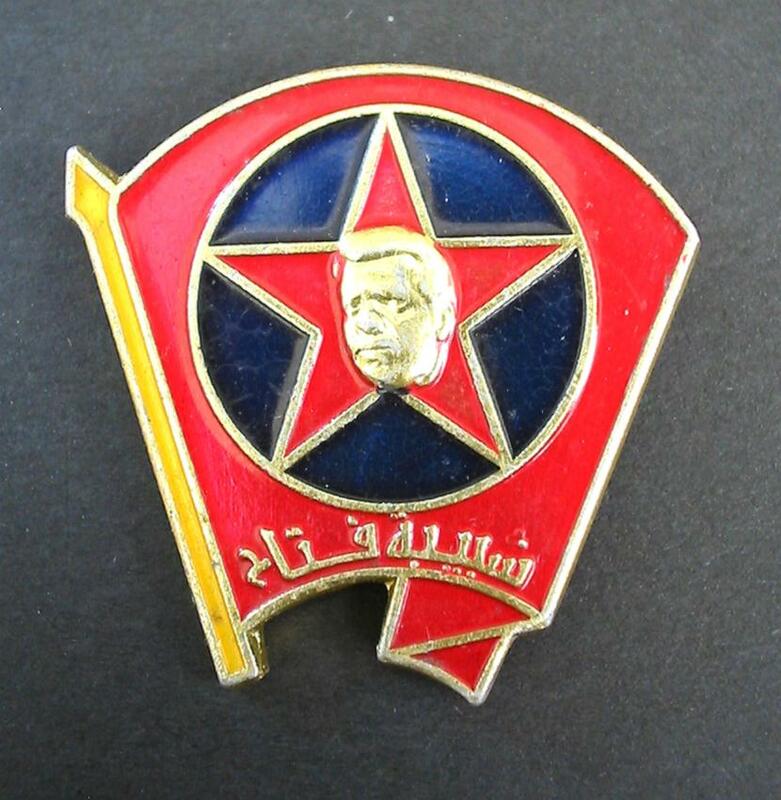 This is a nice and rare Kurdish Revolutionary Party PKK member badge with red banner and red star in middle holding a center portrait bust of their jailed leader Ocelan. 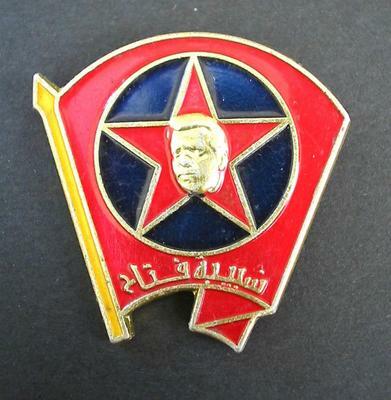 Interesting militaria / military related collector piece and one of the nice Kurdish and Turkish related badges and pins.